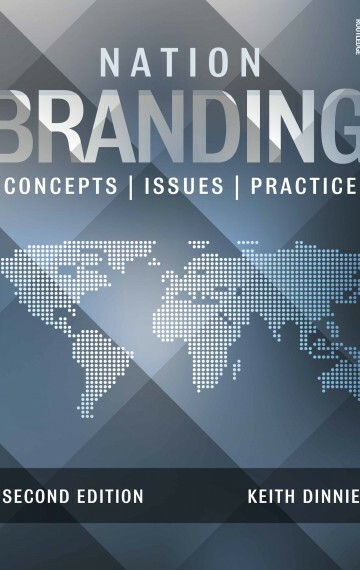 The second edition of Nation Branding: Concepts, Issues, Practice has been published by Routledge. The companion website to the book features instructor aids such as PowerPoint presentations for each chapter and an instructor manual. Complimentary exam copies for consideration for course adoption can be ordered from the Routledge website. The second edition has been extensively updated and redesigned, including end-of-chapter discussion questions and new cases on countries such as China, Croatia, Cuba, Finland, Ghana, India, Korea, Malaysia, The Netherlands, New Zealand, Portugal, Singapore, the United Arab Emirates, the United Kingdom, and the United States. Contributors to the book include experienced diplomats, scholars and business professionals such as David Gertner, Thebe Ikalafeng, Nancy Snow, Melodena Balakrishnan, Alan Fyall, Heather Hartwell, Ann Hemingway, Vassilis Kapetangiannis, Joao Ricardo Freire, Efe Sevin, Roger Sinclair, Koh Buck Song, Jian (Jay) Wang, Oliver Zoellner, Mikhail Sadchenkov, C. Min Han, Gil Chavez, Nicholas J. Cull, Eugenio Matos, Brian Sweeney, Bernard Simonin, Gert-Jan Hospers, Robert Govers, Drago Stambuk, Ed Burghard, Andrew Stevens, Nikos Panayiotou, You-Kyung Kim, Maja Konecnik Ruzzier, Marcus Osborne, Teemu Moilanen, Craig Hayden and Terry Behan. This much-anticipated update to an influential book is an essential introduction to nation branding for students and policy makers.The ICON model presented in this second edition represents a significant new and original tool to guide the development of effective nation brand strategy.